The Atlantic magazine has published a beautiful and brave piece by Janet Horvath about her devastating experience of what is known as ‘ear trauma’ – the fear of hearing noise. 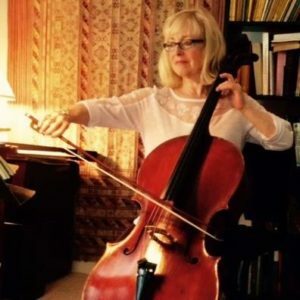 Janet was principal cellist of the Minnesota Orchestra when the condition kicked in. A student of Janos Starker, she explains how she learned to live with it. It’s 2011, and my husband can’t kiss me, even on the cheek, because the slightest touch sets off ripples of pain in my head, my face, my jaw. Every noise is an assault—a car alarm goes off, a baby squeals, a group of giggling teens race into the elevator. The ping of an ATM machine. Cicadas chirping. The roar of a leaf blower feels like a knife rotating in my ear. In sympathy, my husband and son tiptoe around me and recoil with each ding. When I must go out, I stuff my ears with custom earplugs and wear Bose noise-cancelling headphones, but they don’t help much. It is impossible to predict when noise will bring me to my knees. I am a professional musician who can’t tolerate sound. Janet has since set up a program for playing healthy as a musician. This is almost unimaginably sad and ironic. Very brave of Janet Horvath to speak out.